One thing I know for sure . . .
One thing I’ve come to know for sure. 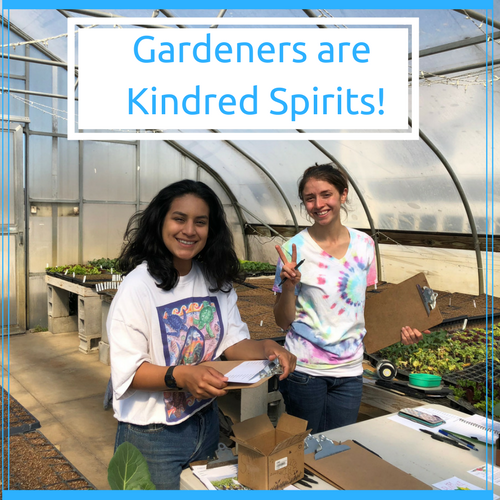 Gardeners are kindred spirits! I guess that’s why I love gardening so much, and why I think gardening is good for kids. I have found gardeners to be among the most generous, warm, enthusiastic, and willing-to-share people I’ve ever met. It doesn’t seem to matter their ages or ethnicities, what part of the country or world they come from, their socio-economic status, or more relevant today, their political persuasion. Put a bunch of gardeners together, and those potential obstacles melt away as soon as the conversation turns to plants. There are just too many questions to ask one another, too much pertinent information to share, too many successes to celebrate and failures to commiserate over. In short, gardeners just want to talk to and learn from one another. What a concept in these tumultuous times in which we are living! Take, for example, these two young women I met on Saturday morning. I got up early (most gardeners do) and drove 30 miles due west, smack dab to farm country, to attend an organic vegetable plant sale. 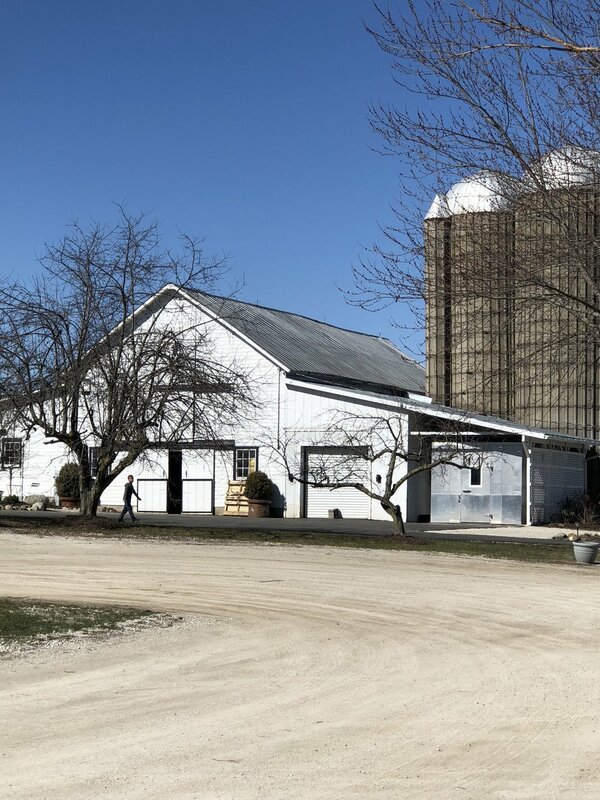 Many weeks before, in a small greenhouse set next to the barn, these two gardeners began the time honored tradition of seed starting while snow still covered the fields. They placed seeds first in flats, and then as the seedlings' first true leaves appeared, they transplanted the kohlrabi to kale and basil to broccoli into the individual containers that now sported robust, healthy looking plants ready to put into the ground as soon as the weather permits. 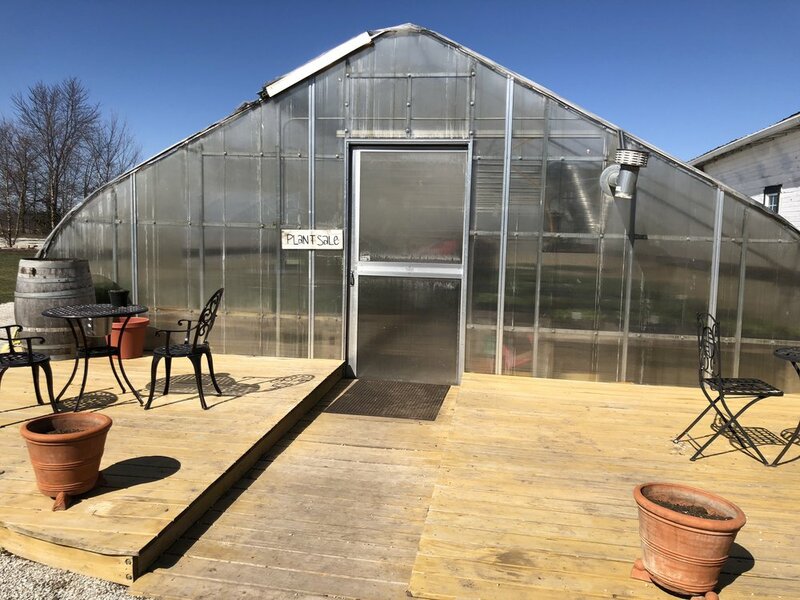 As I pulled open the sliding door leading into the greenhouse where the sale was taking place, I was met with the sight of numerous children of various ages following mom, dad, or grandma around as they picked out the plants they would take home together. I was grateful for a momentary lull in the line behind me as I was paying my bill, which was just enough time for me to strike up a conversation with these two young farmers in the photo. In the span of just a few moments we were like old friends meeting for coffee, sharing how each of us had gotten into gardening. I was not one bit surprised to learn that both had been exposed to gardening as children by their parents or grandparents. The young woman on the left above expressed a deep appreciation to her South American grandmother who once told her, “Someday, you are going to work with the soil.” Years went by without her thinking much about it until the seed her grandmother had planted in her soul began to take root. Here she is, embarking on her career of working with the soil. More often than not, that is the way it happens. That is how it happened for me. Maybe that is how it happened for you. Just as we were about to exchange names, I noticed the line behind me was growing and the parents with the young children needed that line to keep moving! But before our conversation ended, these kindred spirits had extended an invitation to me to bring my grandkids with me the next time. They would show them the goats, the cows, the fields, and the farm. What a gift it would be for my grandkids to be around garden people who are generous, warm, enthusiastic, and willing-to-share. What a gift it would be for your kids, too.